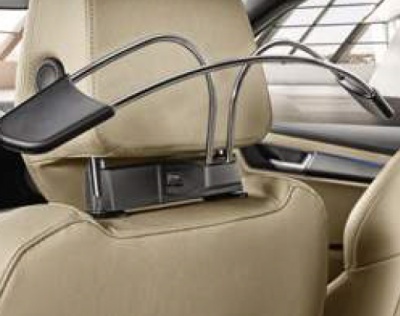 Genuine Skoda Superb Smart Holder - hanger. Fantastic for hanging a coat or shirt on whilst travelling. 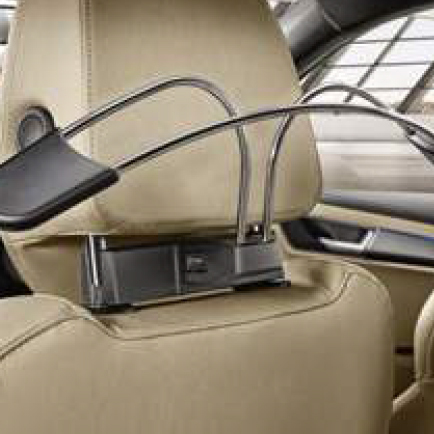 Attaching the hanger is easy – simply secure it in the adapter fitted to the guide bars on the front headrest. Its clever design makes it easy to remove. The safety and functional parameters of the headrest remain virtually unchanged by the use of the hanger. For: All Skoda models. Not for vehicles with sport seats / integrated headrests.